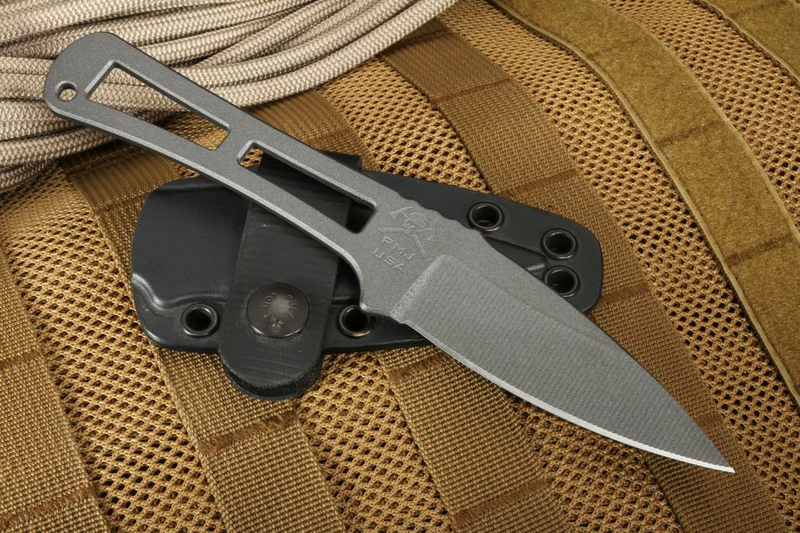 Not all RMJ blades are tactical tomahawks. RMJ Tactical brings you the Utsidihi, a deep conceal carry knife with the moniker of "Mankiller" from the Cherokee. 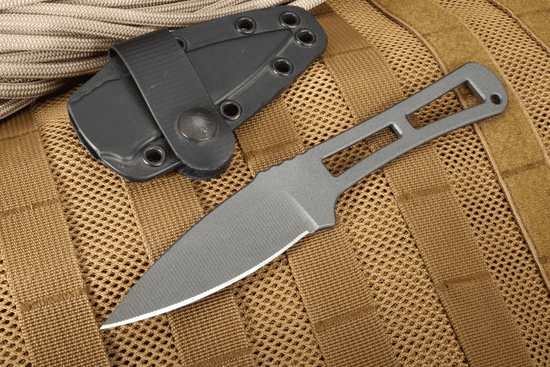 The Utsidihi is a blade that makes a difference when it comes to durability and swift deployment, two musts for reliable tactical everyday carry. With an overall length of 7.75", this fixed blade knife has a 3.375" long blade, crafted from 5/32" oversized Nitro-V steel. With a Rockwell hardness of 58-60, it is tough as well as hard and able to tackle just about any cutting task while still holding a razor's edge. The dark gray matte cerakote finish provides an additional level of hardness as well as added corrosion protection while eliminating glare. At 3.5oz, the RMJ Tactical Utsidihi is lightweight enough to carry without bogging you down, yet hefty enough to remind you it's with you at all times. Smooth jimping on the back of the blade gives you better cutting control without the possibility of hang up. The handle and blade are one continuous piece of steel, but the handle is skeletonized to ensure a good grip in all kinds of conditions, wet or dry. 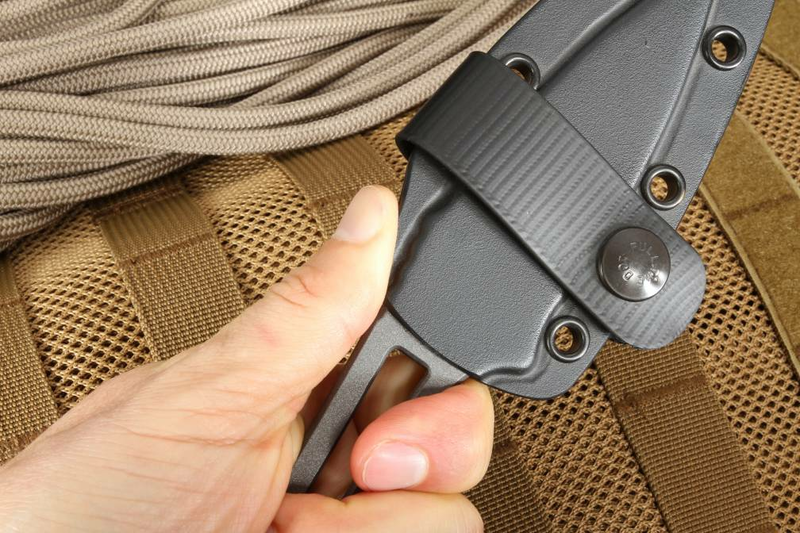 The design also allows for a variety of carrying options but comes set-up for a horizontal belt carry or you can add a paracord lanyard to the sheath. 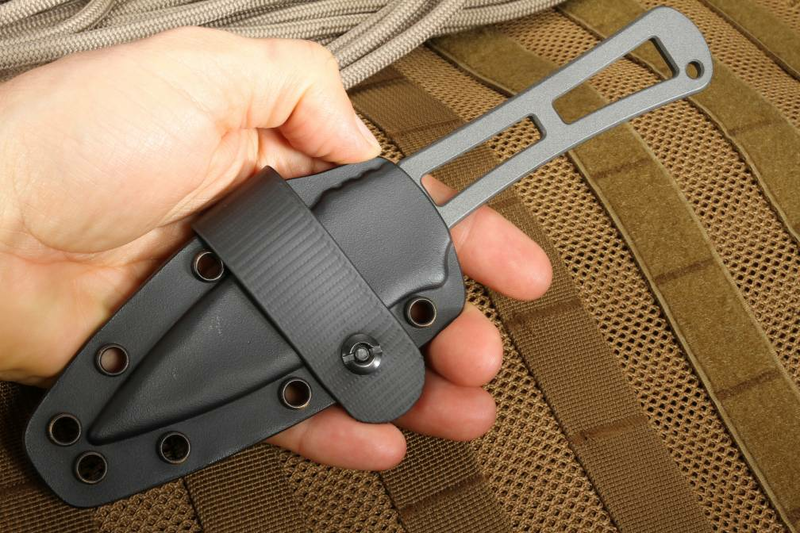 RMJ Tactical knives are made in the USA. Each comes with a 100% lifetime guarantee against structural integrity (excludes normal wear and tear), not only for the lifetime of the user but the lifetime of the product itself! 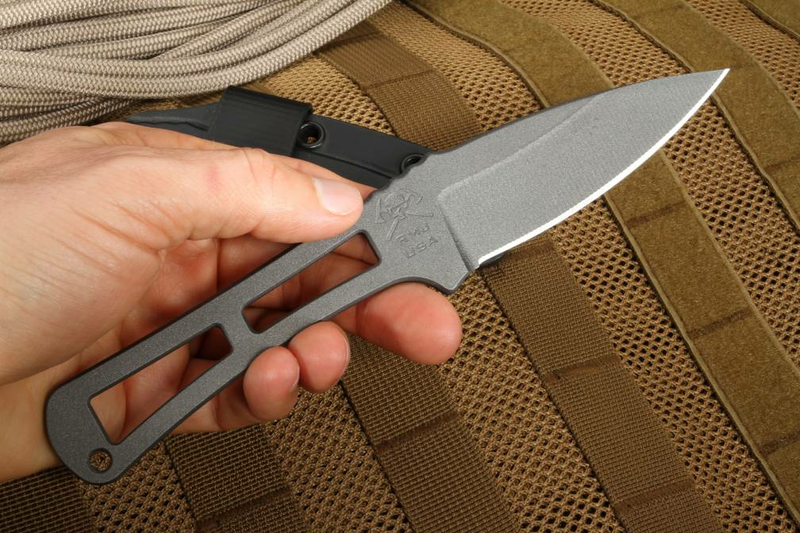 As an authorized dealer of RMJ Tactical, Knifeart.com offers fast free shipping within the United States, as well as a satisfaction guarantee. In the unlikely event you don't love your knife, just send it back and you won't ever be charged a restocking fee!